One question I get asked on the regular is how to use the letter s in plural or possessive form. Misuse of plural s, and apostrophe use, are a couple of the most common mistakes people make regardless of their writing skill. It’s actually very rare for me to proofread a piece of content without coming across either of these issues. Plus, there’s a handy cheat sheet for you to print out! Hands down, this is the number one mistake everyone makes. It’s easy to overlook when you’re in a rush, but for most people it’s a case of not understanding the difference between the two. It’s is a contraction of it is. Example: I wanna know what it’s all about. Its is possessive. Example: The dog grabbed its bone from the cat. I always tell people to use the “It’s/Its” test when they’re on the lookout for a legit proofreader. If they find more than one incorrect use of its or it’s on the proofreader’s site, then chances are they’re untrained and only have a layperson’s knowledge of proofreading/language. You’d think making words plural is pretty basic. I mean, you just add s to the end of a word, right? But many people struggle with this; they think they need an apostrophe. How many times have you seen something similar to this in public? And how many times were you tempted to break out your pen so you could change it to this? On sale: apples, oranges, and bananas. We were all taught in grade school that to make a noun plural we just add s, es or ies to the end of a word. Here’s a quick recap of how to make words plural. Suzy had a kitten. → Suzy had four kittens. When a singular noun ends with an s, sh, ch or x we then add es. Sam wants a sandwich for lunch. → Sam wants two sandwiches for lunch. You also add an es when the word ends in an o.
I need a tomato for this salad. → I need three tomatoes for this salad. Note: not all words that end in o use an es for plural form, like the word ratio. If you’re unsure, check with your dictionary. Taking care of one baby isn’t overwhelming. → Taking care of three babies is overwhelming! If your dictionary shows more than one spelling for the plural form, then use the first form mentioned, which is an industry practice. For example, Merriam-Webster’s Collegiate Dictionary gives two variants for the plural of fish: fish and fishes. My favorite day is Sunday. → I love Sundays. Mr. Jones went camping with his family. → The Joneses went camping. Things start to get a little hairy when it comes to possessive s, especially when a word is plural or already ends in s.
Sally‘s bootcamp doesn’t run on weekends. Miles‘s car was stolen today. You can add ‘s to the end: The McDonald’s‘s parking lot was packed. This looks really weird, yeah? It’s acceptable to use just an apostrophe: The McDonald’s’ parking lot was packed. Ok, this looks a bit better than option 1. Or you could not use anything at all: The McDonald’s parking lot was packed. This is my preferred style. Doesn’t it just look and read better? Remember, any of these three choices are fine, as long as you’re consistent. 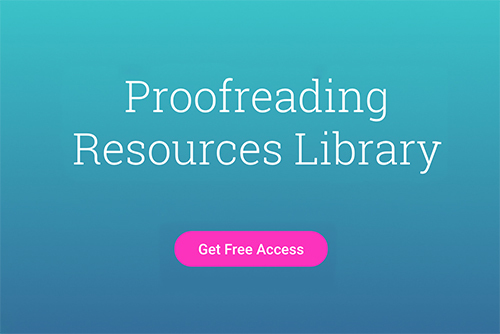 If you’d like to grab the handy cheat sheet, you can grab it in our free proofreaders’ resource library by clicking here. There’s a lot to remember, so I hope you find it useful 🙂 I go over more common errors in my free 5-day Proofreading 101 course, as well. If you want to learn more about proofreading, you can sign up in the box below! The students‘ phones were held by the teacher during the test. The Joneses‘ tent can hold 10 people. The men‘s club is very exclusive. What if more than one person share/own the same thing? This is known as a compound possessive. Jim and Seth‘s mom makes the best cookies. What if there’s more than one person and they share something in common, but each have their own? Eve’s and Lynn’s breaths floated like clouds in the air. As a proofreader, you’ll encounter some kind of issue with plural and possessive s in almost every piece of content you work on. What other spelling/grammar mistakes do you see a lot of that drives you crazy? Let us know in the comments below!